This report is written to give a factual account of our personal experiences in attending three séance evenings with the physical medium Kai Felix Muegge on Feb 2-4, 2018 in Centrum de Linde, Bilthoven, Netherlands. We do not claim to be complete, nor wishes to interpret the observations in a broader spiritual context. Furthermore, this report should not be considered a rigorous scientific account. For that a much more controlled laboratory setting would be called for. The reader is invited to form his own opinion and when warranted add thoughtful substance to the subject matter by attending a séance or by studying thoroughly the eyewitness reports of others. By writing this report, I take responsibility for its wording and welcome additions, corrections and improvements in the forums where it may end up. Don't hesitate to leave your substantiated factual comments. In general, a seance is held to open a channel (portal) with the afterlife (of diseased) or entities in other dimensions. It requires energy from both sides. In all cases some kind of 'proof' should be given of a genuine contact. In mental mediumship this amounts to convening information only the recipient knows or can check in his private circle. In a physical seance the focus is on showing the relative limitations of our 4-D physical world. In the USA/UK mental mediumship has evolved more into a religious stream, the spiritual church. 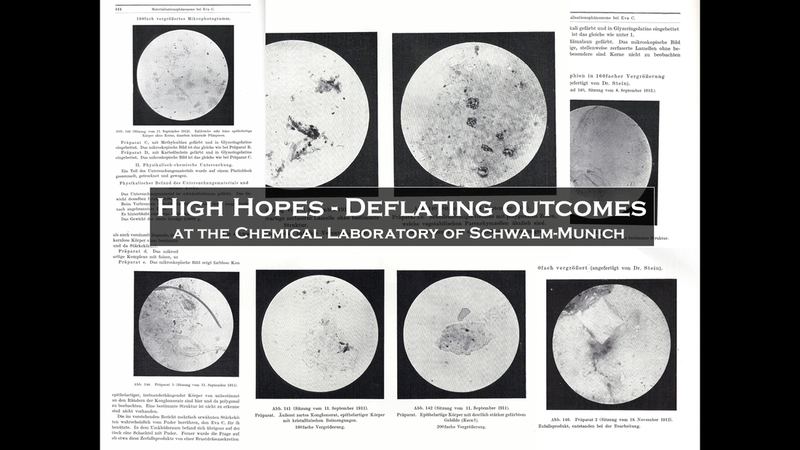 According to R. Foy, leader of the Skole Afterlife experiment, "Indeed was ectoplasm several times chemically analysed, at least two or three times by Schrenck in a lab in Schwalmbach, close to Munich, by Bernoulli at least one time and also by a few others whose names I am just not aware. 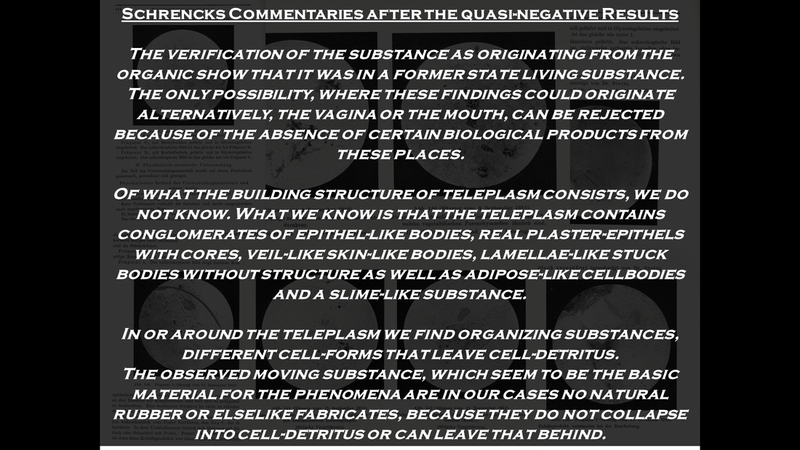 Meanwhile the results of the analyses repeatedly were showing and defining definite ingredients (see attachment), the secret behind its more meaningful capabilities (movement abilities, highly complex morphing ablities) couldn t be discovered in the chemical lab. "